We’d love your help. Let us know what’s wrong with this preview of Clade by James Bradley. That result, when it comes, will change both their lives and propel them into a future neither could have predicted. In a collapsing England Adam will battle to survive an apocalyptic storm. Aga On a beach in Antarctica, scientist Adam Leith marks the passage of the summer solstice. Back in Sydney his partner Ellie waits for the results of her latest round of IVF treatment. That result, when it comes, will change both their lives and propel them into a future neither could have predicted. In a collapsing England Adam will battle to survive an apocalyptic storm. Against a backdrop of growing civil unrest at home, Ellie will discover a strange affinity with beekeeping. In the aftermath of a pandemic, a young man finds solace in building virtual recreations of the dead. And new connections will be formed from the most unlikely beginnings. To ask other readers questions about Clade, please sign up. On p93 set in in England " on the floor between Adam and Ellie, Noah lies curled in on himself, his head on his backpack". How could Ellie be there when she is in Australia? Heffy Seems to be a copy error that snuck through. Or possibly the author did that on purpose to show Adam's state of mind, half asleep (but I doubt it). Marylou She was having hormone treatment for IVF - in-vitro fertilisation. I think you misread what this was about. You’re looking for a novel that is an epic, sweeping story of many generations, but at the same time not boring or dull? A novel that covers everything from the birth of a child with asthma to the relationships between a woman and her late father’s ex-wife, all the way through to climate change and bee colony collapse disorder, while not exceeding 250 pages? Oh, hold up a minute, this is exactly what James Bradley has managed to do in this short epic novel. This is a plausible, unnerving, and highly pertinent climate change dystopian novel that you should be reading during these troubled times. Clade explores the ways in which we have and will continue to destroy our planet, our relationships, and ourselves, and it does so not with a sudden apocalyptic event, but over time, with a steady downward self-inflicted spiral of mass natural disasters, refugee and immigration crises, wars, crop and species extinction, anti-science leadership and ineffectua This is a plausible, unnerving, and highly pertinent climate change dystopian novel that you should be reading during these troubled times. Clade explores the ways in which we have and will continue to destroy our planet, our relationships, and ourselves, and it does so not with a sudden apocalyptic event, but over time, with a steady downward self-inflicted spiral of mass natural disasters, refugee and immigration crises, wars, crop and species extinction, anti-science leadership and ineffectual media. If you’re reading this in 2018, this will all feel frighteningly familiar to you. It’s written beautifully and with that lonely, disconnected atmosphere that we’re destined to remain in as long as we’re determined to be obsessed with our gadgets and ignore reality. This was epic in every sense of the word. Imagine a tale spanning several generations. One that explores the destruction and devastation of climate change, from the very beginning to its end. All in under 250 pages. You would imagine it would be rushed and underdeveloped - lacking in detail. That is not the case here. Clade is an incredibly well thought out, and executed book. The characters and plot are developed just enough, and you're not bogged down with unnecessary details. Think of a sketc This was epic in every sense of the word. The characters and plot are developed just enough, and you're not bogged down with unnecessary details. Think of a sketch; a minimum of strokes used to maximum effect. Everything was efficient in its delivery and the results were powerful. This was a thought provoking and compelling read. It explores climate change, from the very first "Oh crap, we are at the point of no return here." moment right through to the end. It outlines the utter devastation and the repercussion it would have on our lives. It also tells a tale of human endurance and resilience, and how we are are versatile and able to adapt. I particularly enjoyed how the characters intertwine and overlap each other, how they are all linked in some (sometimes unexpected) way. Its a story about humanity and our relationships with each other in the face of an increasingly unstable world. This really was brilliant and clever. A book that makes you take a good long hard look at who we are as a species, and the impact we have on our environment. I wanted to enjoy this much more than I did, I enjoy Bradley's critical work and was quite looking forward to this novel. The best I can say for it is that it is accessible and decidedly more hopeful than the vast majority of climate change/dystopian fiction. 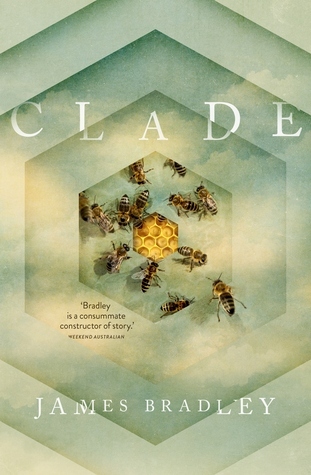 Clade is more a loosely tied together short story sequence about surviving catastrophic climate change than it is a novel and suffers for it brevity - there's not really any space to explore in detail the themes raised, and there are a lot of them on Bradley's list of concerns. The novel is a very ambitious attempt to tack a quite literary multi-generational unhappy family saga on to a 'cli-fi' framework - perhaps in an attempt to add some gravitas or mainstream the story? It didn't work for me at all, although I suspect I am not the target audience. I read a lot of dystopia and I write a little too, and this is by far the most realist - and realistic - of all the stories I've read (or written). Bradley resists the urge to get apocalyptic and instead shows us how the world and lives we've loved will slip away from us like polar ice, sometimes in a trickle, sometimes in giant calving chunks. Clade is not a warning, it's a eulogy. 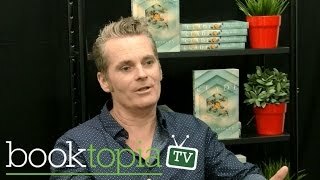 I have to confess I had never heard of the book CLADE or its author James Bradly until it was discussed on the Sunday Book club on ABC recently. CLADE is an unusual book in that it looks the scenario of the possible effects of climate change and how it impacts on the world through the eyes of three generations of one family, the Leith family, and some characters who come into contact with them. Bradley’s scenario is frightingly plausible. Starting around 2016 the story moves through in a series of 10 narratives (or chapters) that are not linked in any real way except that a member of the family appears in it. There can be years between chapters before Bradley decides to pop back into the story and give the reader a snapshot of where the family, and the world, is at now. CLADE opens with Dr Adam Leith and his artist wife Ellie trying to conceive a child – he is a scientist and is down in the Antarctica and she is in Sydney waiting to hear if this time the IVF process has been successful. He hears the ice beneath him creaking and groaning and understands this is the ice loosening up as the earth warms up. He worries about whether they should bring a child into the world. And the book continues each chapter jumping through history and gives a snapshot of what the family is doing against the background of a rapidly escalating global meltdown. The Earth is dying. Changing weather patterns result in hurricanes hitting Europe and Monsoons failing. Fish and birds start dying, massive floods kill thousands and a flu like virus kills millions. The temperatures steadily rise, civil unrest increases and world economies fall. Yet the day to day activity of the characters remain the same, they just get on with living as the earth throws yet another challenge at them. The reader gets to see snapshots of events through Adam and Ellie, their daughter, their grandson, a Chinese teenager Adam sort of adopts and a refugee from Bangladesh that Ellie connects with. This makes the story very personal, as the reader experiences the events as they affect the characters making it all very, very believable. On the whole I liked the way the story progressed as a series of snapshots as the world deteriorated. I have to confess that sometimes it took me a while to get the connection to the family and it left me slightly adrift until I did, but as soon as I clicked I was off again. Was left a bit bewildered over the ‘Sim’ section and still not sure I have fully got that part. Overall though despite the steady decline in the conditions of the earth there is hope at the end of CLADE – it’s a bit out there – but why not, nothing else was working to stop the planet’s deterioration. In the end CLADE is not all doom and gloom – although there is a lot of it, it is more a story about how the human race is determined to look for solutions, adapt and fight to live – it is life but not as we know it. I first became acquainted with Bradley's work through his short story Beauty's Sister, that was published a kindle single. That was so utterly wonderful that I placed him on my list to watch out for future works. Which brings us to Clade . The blurb for Clade didn't grab me, I have to say. The worry I had was whether a book could adequately do justice to multiple generations of a family in only 240 or so pages? The book is set in a not so distant future where climate change has brought both the I first became acquainted with Bradley's work through his short story Beauty's Sister, that was published a kindle single. That was so utterly wonderful that I placed him on my list to watch out for future works. Which brings us to Clade . The blurb for Clade didn't grab me, I have to say. The worry I had was whether a book could adequately do justice to multiple generations of a family in only 240 or so pages? The book is set in a not so distant future where climate change has brought both the earth and the people who live on it, to their knees. We follow multiple generations, starting with Adam and Ellie, who live in a world not so very different to what we have now, with Adam - a scientist - experiencing frustration that the warning signs of irrevocable change to the earth's climate are not being heeded. As we follow Adam through his life, and follow his descendants, we see the world's Eco-system collapsing as extreme weather events become more severe and more frequent. Accompanying this is the inevitable collapse of society as we know it. So the question I had about whether the book could do justice to so much in so few pages? The answer is yes, it does. Bradley is a master of sparse prose and being able to say a great deal with very few words. This is a theme driven novel, but that is not to say the characters are not developed because they are. Bradley took me through a range of emotions in the book. The first half of the book I had a sense of claustrophobic panic. Climate change is a topic I feel strongly about, and Bradley's vision was both realistic and my worst nightmare. I resonated strongly with Adam's concern about having brought a child into such an uncertain world, and what theirs and their descendants futures might look like. The second half of the book I felt sadness. Bradley leaves his book with a bittersweet note of hope. Despite all that occurred during the book, people endured. I found this book oddly compelling yet ultimately lacking. It's basically a series of short stories following members of a family with climate change as the background noise. There were a lot of really wonderful elements here that I would have enjoyed if they'd been developed in a meaningful way, but just as we get into the character, the chapter ends and the story moves on and we never really get any kind of exploration of the subject or characters. At the end of the day, this felt like a book f I found this book oddly compelling yet ultimately lacking. It's basically a series of short stories following members of a family with climate change as the background noise. There were a lot of really wonderful elements here that I would have enjoyed if they'd been developed in a meaningful way, but just as we get into the character, the chapter ends and the story moves on and we never really get any kind of exploration of the subject or characters. Literary science fiction at its best. This book might draw comparisons to David Mitchell's The Bone Clocks (following connected characters over decades) or Margaret Atwood's MaddAddam trilogy (near-future/environmental theme), but it lacks the flashy, over-the-top SF elements and length of Bone Clocks, and that's a good thing. The writing is so wonderfully succinct, grounded, and elegant that it most reminded me of Ursula Le Guin. A really great read to kick off 2015. A near-future novel that uses the devastating effects of climate change as its setting and yet isn’t a complete downer: that’s quite an achievement, particularly as it also avoids resorting to the kind of Hollywood, gung-ho ‘Hey, we saved everyone, anyway’ device to make it all better. If I had to sum up James Bradley’s Clade in one word, it would be ‘unexpected’. A ‘clade’ encompasses all the members of a species alive and dead that share a common ancestor. In the novel it refers most strongly to the entire human race, a clade that is in danger of being wiped from the face of the planet it has so egregiously damaged, although other clades are also being destroyed due to climate change in the book. Clade is not so much a novel as a series of connected stories, time-hopping forward and centring for the most part on a single family and how they survive, or fail to survive, when faced with the myriad effects of a warming atmosphere. It’s an important point made by the book – but in a subtle, non-preachy way – that an increase of a couple of degrees globally doesn’t just mean we have to wear shorts all year round. It means increasingly destructive weather events, power ‘brownouts’, drought and crop failure, starvation and pandemics, not just as one-offs but as the norm, hammering at humanity again and again, killing millions: fathers losing daughters, wives losing husbands, not just statistics, but individuals. You, me and people just like us. And yet this is not a depressing novel. Adam, a climate scientist, is worried about bringing a new child into the world with his partner because out on the Antarctic ice shelf, he can already see the end of the world accelerating towards them. Still, when Summer is born she is a gift, and her parents bring her up the best way they know how, even though it’s getting more and more difficult to pretend the world around them is normal. Fast-forward and Summer and her parents are estranged, with Summer living in England, which is being pounded by storms when her father tracks her down and finds she has a child of her own: Noah. Now, though, the sea is returning. In recent years these fields and towns have flooded more than once, and although the windmills that drive the drainage systems testify to people’s determination to keep the water at bay, it is really only delaying the inevitable. Those who live here know this, of course. Hence the signs of preparation, the rowboats in driveways and on lawns, the canoes and kayaks propped against walls. There was a time when people talked about boiling the frog, arguing that the warming of the planet was too gradual to galvanise effective action, and although in recent years that has changed, delay having been replaced by panic, resistance replaced by more effective solutions, Adam still suspects that at some level people do not understand the scale of the transformation that is overtaking them. Even if it hasn’t happened yet, the reality is that this place is already lost, that some time soon the ocean will have it back, the planet will overwhelm humanity. It was sort of sad, all the trees there in the water, but it was also weirdly beautiful. The water was dark brown – tannin from the eucalypts, Dr Leith told me later – and so still you could see the grass and leaves and branches scattered in the shallows. I would have stayed there longer, but after a while I began to feel uneasy, like somebody was watching me. Looking around I couldn’t see anybody, but then again if there was somebody it would have been dead easy for them to hide. Just like realising people had been in the house last night, it creeped me out, so I headed back. Noah had his lenses on when I got there, his face twitching and his hands opening and closing. I watched him for a while, wondering how long the software agents and AIs would keep running if we all died. Would the games continue on without us? It was a strange thought, all those worlds left empty, waiting, their only inhabitants things of bits and light. As I said, James Bradley has created something unexpected in Clade. He’s stripped the politics from what has become a very political issue and shown us the humanity that lies beneath it. He hasn’t made the apocalypse palatable, but he has made it something grounded and relatable to you and me. That’s quite an achievement. Not really dystopian, not really post-apocalyptic, because the apocalypse, most realistically, extends over a lifetime and occurs as a series of bangs and a long, drawn-out whimper. Yet, despite that, the book was strangely hopeful. A very internal examination of how people respond to crisis, set within a very realistic and non-melodramatic vision of how the Anthropocene may go. A clade is defined as "a life-form group consisting of an ancestor and all its descendants"(wikipedia.org). In this novel, James Bradley follows not only three generations of one family as they grapple with climate change but also the past and future of the human race as we must adapt to the changes we have wrought on our planet. The novel opens in Antarctica with Adam Leith, a climate change scientist finding out that his wife Ellie is pregnant with their daughter Summer after two years of IVF. The novel opens in Antarctica with Adam Leith, a climate change scientist finding out that his wife Ellie is pregnant with their daughter Summer after two years of IVF. Adam is concerned about the changes in climate that he sees all around him - the melting of the polar ice, the increase in sea levels, the increase in acidity of the oceans, increased storms and floods and forest fires - are being ignored by politicians and the situation is spiraling out of control. The book is written as a series of moments in the lives of Adam and his descendants so that instead of seeing climate change as a gradual effect we see more abrupt changes and are more aware of what is happening then the characters living their lives. This is particularly unsettling as we currently live with the early signs described by Bradley yet are doing little to take them seriously. Visiting Summer who is now an adult with a son of her own living in Cambridge, Adam reflects on the boiling frog syndrome where "warming of the planet was too slow to galvanise effective action" so that "people do not understand the scale of the transformation that is overtaking them". Bradley describes an escalation in the devastation caused by warming on the planet. Parts of India and Bangladesh under water, massive storms and floods occurring regularly, vegetation changing and birds and bees disappearing. By choosing to show the effects of all this on one family he has somehow made the story more personal and real rather than something abstract. Through all this, Bradley imagines mankind continuing to adapt and survive and in the end his message is one of hope for our future. Quiet, melancholic, beautiful writing. Enthralled by the flood chapter. Not convincing in it's "every ending is a beginning" theme surfacing hesitantly towards the end, but perhaps that's the point - it's a possibility rather than a promise. Powerful and elegant - quietly terrifying. I was totally into Clade, however around the 80% mark it all unraveled for me and became quite a chore to read. First 80% 4 stars. Last 20% 2 stars. So I'll give it 3 stars overall. 4.5 - Kinda like David Mitchell meets Richard Flanagan. Great book, very thought provoking , partly terrifying but ultimately reassuring as well. Well written, but never coalesced into a full story that I could really sink my teeth into. We are given a view of the earth falling apart under disease, rising waters, the dying off of animals and new weather patterns from the perspectives of several different characters all tied together. Yet the "story" I was looking for never emerged. Without giving full explanations, we are provided the viewpoints of different characters, most from the same family, of a world being ravaged by the effects of Well written, but never coalesced into a full story that I could really sink my teeth into. We are given a view of the earth falling apart under disease, rising waters, the dying off of animals and new weather patterns from the perspectives of several different characters all tied together. Yet the "story" I was looking for never emerged. Without giving full explanations, we are provided the viewpoints of different characters, most from the same family, of a world being ravaged by the effects of global warming. Mankind is fully to blame, according to snippets of narration & dialogue, but details are always vague which would probably reflect most people's knowledge of events on this scale. With this backdrop, we loosely follow a family as they struggle to survive. We get glimpses of rising seawaters, unprecedented storms and weather patterns, a viral pandemic, civil unrest especially regarding immigrants, autism, and widespread extinctions. No topic is explored fully as the characters are supposed to be the driving force of this book. Yet they never seem to fully emerge. Throw in the final(view spoiler)[ discovery of intelligent life (hide spoiler)] and I just feel this book falls a bit flat. The descriptiveness and flow are wonderful, which would lead me to read another of this author's books and keeping it at 3 stars, but this story never formed into something I could really enjoy. This is an epic story in a small package. It takes place just as humanity is starting to feel the huge and very rapid results of climate change: bees are disappearing, there are huge flooding disasters all year round all over the world, and populations are being displaced throughout. But all of these events take place against the background of a very quiet and tender story of a family moving through this environment, trying to solve family relationships on top of trying to survive. This novel fe This is an epic story in a small package. It takes place just as humanity is starting to feel the huge and very rapid results of climate change: bees are disappearing, there are huge flooding disasters all year round all over the world, and populations are being displaced throughout. But all of these events take place against the background of a very quiet and tender story of a family moving through this environment, trying to solve family relationships on top of trying to survive. This novel feels like it could happen very soon, in our lifetime, which is why I think we all can connect with it. This does read like a collection of related short stories. I liked it/them, found it very readable, despite not always knowing when and where the story had got to, or who a first person narrator was. The changes of style and voice suited the scope of the story. I loved the reference to the Sixteenth Doctor. Not sure about the depiction of a person on the autism spectrum - how he is, how other This does read like a collection of related short stories. I liked it/them, found it very readable, despite not always knowing when and where the story had got to, or who a first person narrator was. This is a book about how climate change will affect the future of the world. It starts out in Antarctica where Adam is studying the effects of climate change and quickly moves to Australia when his first child is born. After that it quickly moves to England where his now grown daughter and her son stay with him through an apocalyptic storm. The book jumped around a lot to the major characters but once I was able to get everyone figured out, I felt like it was a good way to keep the story moving. This is a book about how climate change will affect the future of the world. It starts out in Antarctica where Adam is studying the effects of climate change and quickly moves to Australia when his first child is born. After that it quickly moves to England where his now grown daughter and her son stay with him through an apocalyptic storm. The book jumped around a lot to the major characters but once I was able to get everyone figured out, I felt like it was a good way to keep the story moving. It was an interesting look at what could happen to the world if global warming continues. The first two-thirds of this book were easily a five, but then it all broke down when the story jumped around and stopped being as cohesive. There’s some really beautiful stuff in there about what humanity would be like when Earth turns into a sinking lifeboat, and that part is nice. I’m not sure if it was just the copy I read, but this book smelled fantastic. It was a new book, so either they just came that way or someone who does an impressive amount of laundry borrowed it before me; it had th The first two-thirds of this book were easily a five, but then it all broke down when the story jumped around and stopped being as cohesive. There’s some really beautiful stuff in there about what humanity would be like when Earth turns into a sinking lifeboat, and that part is nice. Clade writes poignant, quietly moving stories about climate change through the perspectives of individuals. There's something very disconcerting to read about the ways everyday life can quickly return to normalcy in the face of drastic environmental and societal changes. It's sobering. I loved following Noah's life. As a child he braved a lot of uncertainty and difficult changes as the world shifted and adjusted around him, his family, his neighbourhood, and his community. There was a lot of loss Clade writes poignant, quietly moving stories about climate change through the perspectives of individuals. There's something very disconcerting to read about the ways everyday life can quickly return to normalcy in the face of drastic environmental and societal changes. It's sobering. I loved following Noah's life. As a child he braved a lot of uncertainty and difficult changes as the world shifted and adjusted around him, his family, his neighbourhood, and his community. There was a lot of loss - and a few difficult-to-read scenes. And yet he grew up, fairly adjusted, eased into his life as a scientist. Humans are much more adaptable than they think they are. Even as I write that, however, I feel impending loss. I hate that we have to be adaptable. It means everything can change in the blink of an eye, things I loved, things that were important. For some reason it made me think of On the Beach by Neville Shute. I'm not really sure why, maybe it was the apocalyptic overtones of a world that we've managed destroy, told from an Aussie point of view. A combination of environmental destruction, a population-threatening pandemic, virtual reality and artificial intelligence came hauntingly close to any number of possible futures in our own reality. I came across this book as part of a current reading challenge to read more Australian Authors. I'd not heard of either the book or the author, but was keen to give it a go. The story is told in a series of narratives that follow one family through three generations and their experiences in a rapidly changing world. The nature of the content would make the reader assume that Bradley was trying to get across his agenda or opinion on the state of the world.. but it never seemed to quite get there. I found the use of present tense in the novel distracting, mostly due to the frequent swing back to past tense every now and then. It was a quick read (one evening sitting) and perhaps this was part of it's downfall. The light touch on such serious subject matter added a sense of triviality to the book as did Bradley's seeming lack of attempt to deal with the issues in any meaningful way. It was almost as if what was happening in the world was really just an inconvenience to the characters who continued on in as normal a way as possible. The story itself still had an interesting premise and ideas and as it was an easy and quick read, still worth picking up if you have nothing else lying around. I just finished Clade by James Bradley and I COULD NOT PUT IT DOWN. What a compelling story, peopled with characters that get inside your heart and hold tight to its strings. Clade is an apocalyptic novel, but it does not open with scenes of the aftermath of the destruction of civilisation. Rather, it opens in the present day (or not too far in the future). Adam is marking the summer solstice while on a scientific trip to Antarctica, while his partner, Ellie, waits for the results of her latest I just finished Clade by James Bradley and I COULD NOT PUT IT DOWN. What a compelling story, peopled with characters that get inside your heart and hold tight to its strings. Clade is an apocalyptic novel, but it does not open with scenes of the aftermath of the destruction of civilisation. Rather, it opens in the present day (or not too far in the future). Adam is marking the summer solstice while on a scientific trip to Antarctica, while his partner, Ellie, waits for the results of her latest round of IVF treatment. The result is both desired and feared; life-changing, life-affirming and anxiety-provoking. From this first chapter, the novel progresses in a sort of episodic form - each chapter is devoted to one of the perhaps minor characters of a previous chapter; we are presented with different points of view, the chapters separated by periods of time spanning years. In this way, we move through time in leaps and bounds, marching inexorably ahead, as the climate changes around us, and the earth - as we know it - slowly disintegrates. Sometimes, with this genre, it is difficult to immerse ourselves in the post-apocalypse world because it is so very different to our own, but in this novel, because of the way it is structured, we get to see the changes - to our planet, to our society, to technology, to global interactions and communications - gradually, bit by bit, as they creep up on us. We have time to absorb the new reality of 10 years from now, then 25 years, then 50. James has constructed a thoroughly believable premise, backed by 'evidence' through science, nature, geography, climate, population and globalisation. Each chapter is almost like a short story - a complex, in-depth and detailed portrait of a particular slice of life at a particular time and from a particular perspective. But all the passages connect, through the characters and their journeys. And it is the absences - the sections that are missing, and that we as readers must imagine, that mean as much as the words that are present. We witness a collapsing world - whole countries going underwater or devoured by raging fires or ravaged by riots and uncontrolled, disenfranchised groups. We meet an illegal Bangladeshi refugee, once a doctor, now a beekeeper; a woman who cannot cope with mothering; a boy with autism who builds virtual recreations of the dead lost in a viral pandemic. The story takes us around the globe and back again to Australia, bookended beautifully by another story of another solstice, many years after the one in the first chapter. And with each chapter, the characters age and new generations become the ones in charge; the cycle of life and the very short timespan of an individual life is highlighted. James is the author of four novels: the critically acclaimed climate change narrative, Clade (Hamish Hamilton 2015), The Resurrectionist (Picador 2006), which explores the murky world of underground anatomists in Victorian England and was featured as one of Richard and Jud Librarian Note: There is more than one author in the GoodReads database with this name. See this thread for more information. James is the author of four novels: the critically acclaimed climate change narrative, Clade (Hamish Hamilton 2015), The Resurrectionist (Picador 2006), which explores the murky world of underground anatomists in Victorian England and was featured as one of Richard and Judy's Summer Reads in 2008; The Deep Field (Sceptre 1999), which is set in the near future and tells the story of a love affair between a photographer and a blind palaeontologist; and Wrack (Vintage 1997) about the search for a semi-mythical Portuguese wreck. He has also written a book of poetry, Paper Nautilus, the novella, Beauty's Sister, and edited The Penguin Book of the Ocean and Blur, a collection of stories by young Australian writers. Twice one of The Sydney Morning Herald's Best Young Novelists, his books have won The Age Fiction Book of the Year Award, the Fellowship of Australian Writers Literature Award and the Kathleen Mitchell Award, and have been shortlisted for awards such as the Miles Franklin Award, the Commonwealth Writers' Prize, the NSW Premier's Christina Stead Award for Fiction, the Victorian Premier's Award for Fiction and the Aurealis Award for Best Science Fiction Novel, and have been widely translated. His short fiction has appeared in numerous literary magazines and collections, including Best Australian Stories, Best Australian Fantasy and Horror and The Penguin Century of Australian Stories, and has been shortlisted for the Aurealis Awards for Best Science Fiction Short Story and Best Horror Short Story.